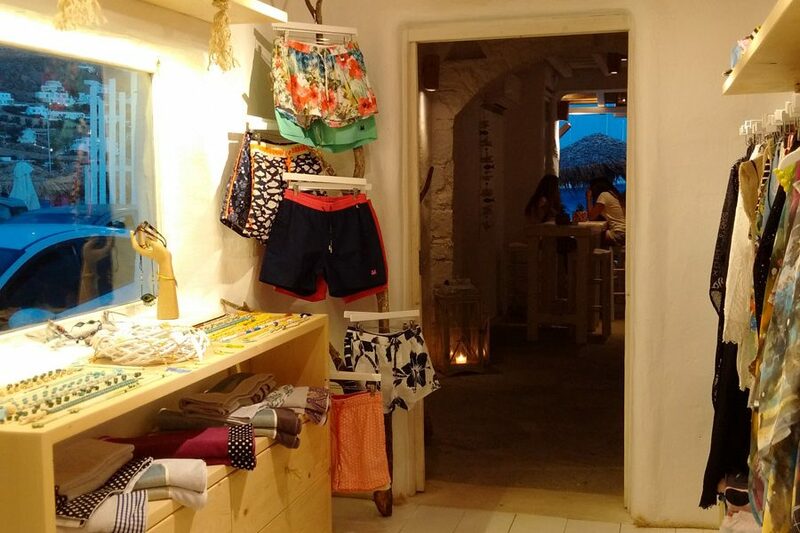 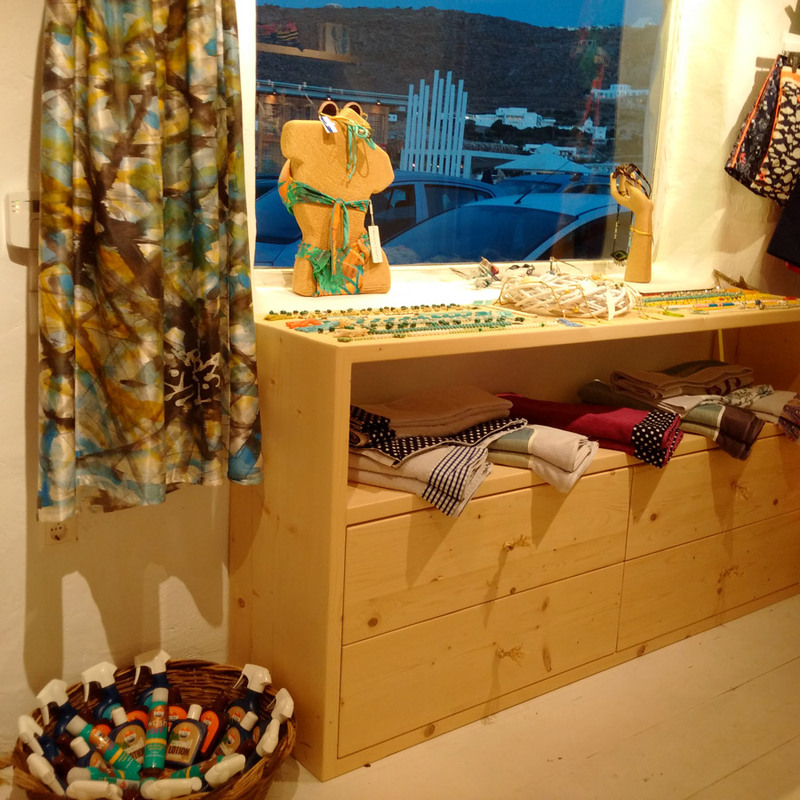 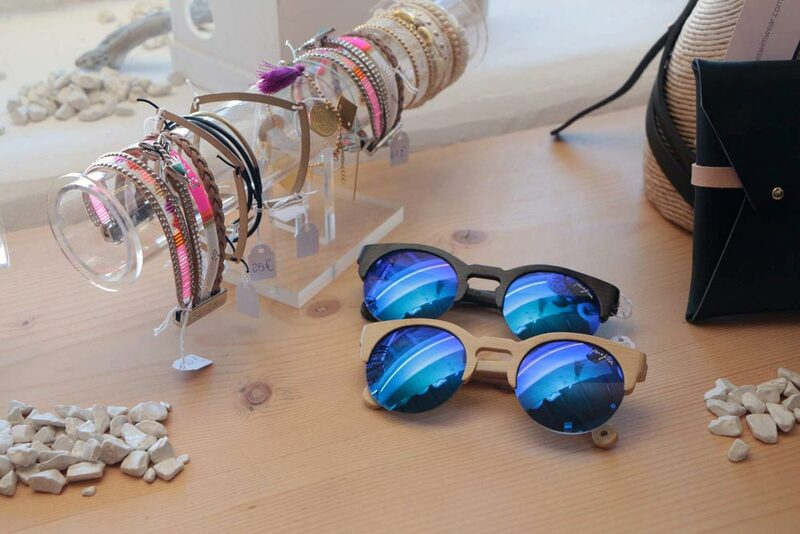 Undoubtedly, fashion is recorded in the DNA of Mykonos! 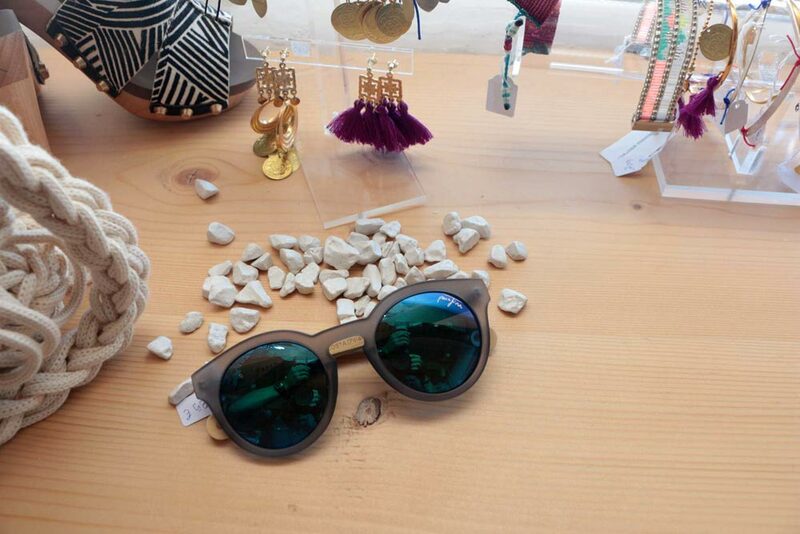 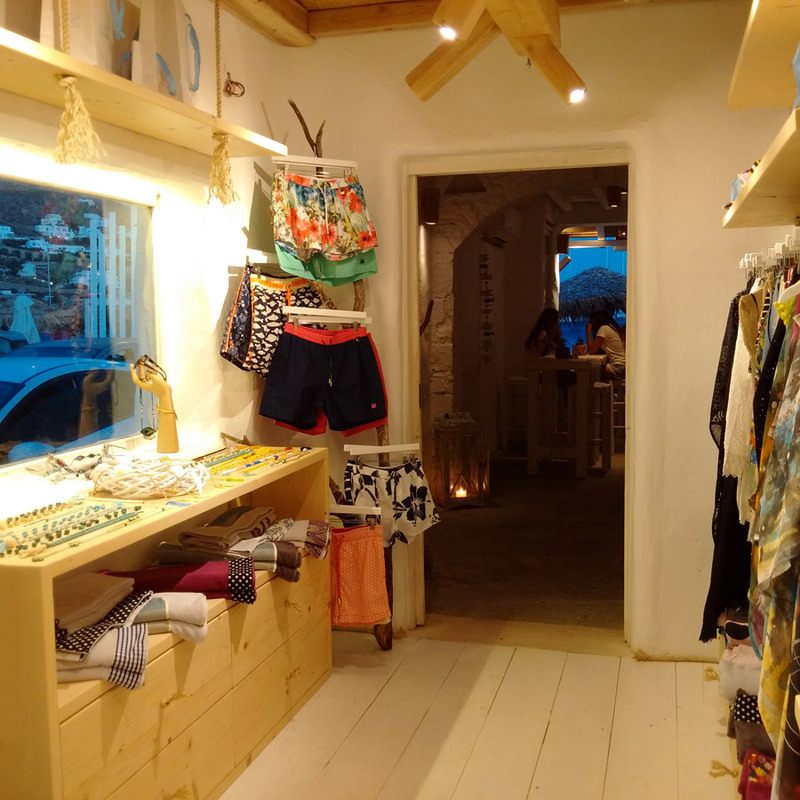 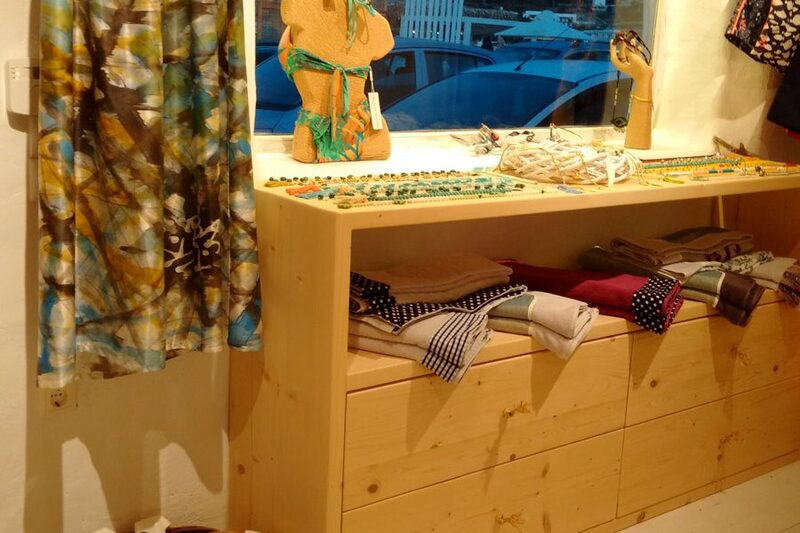 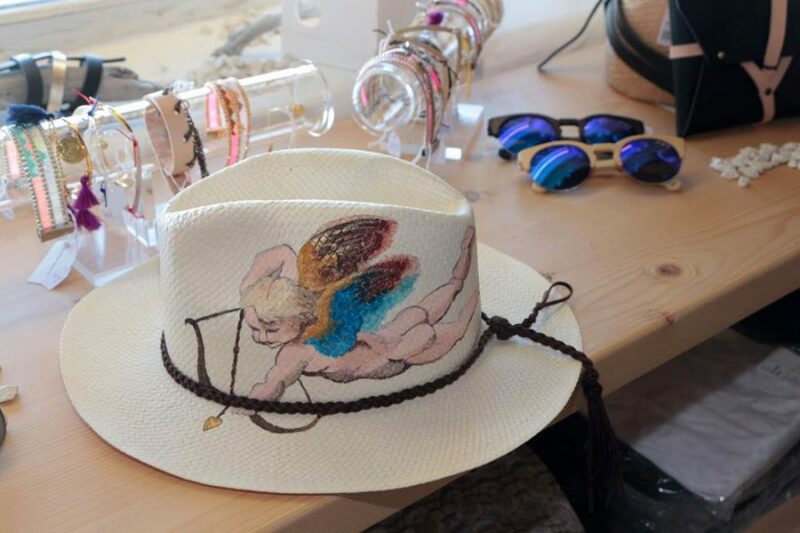 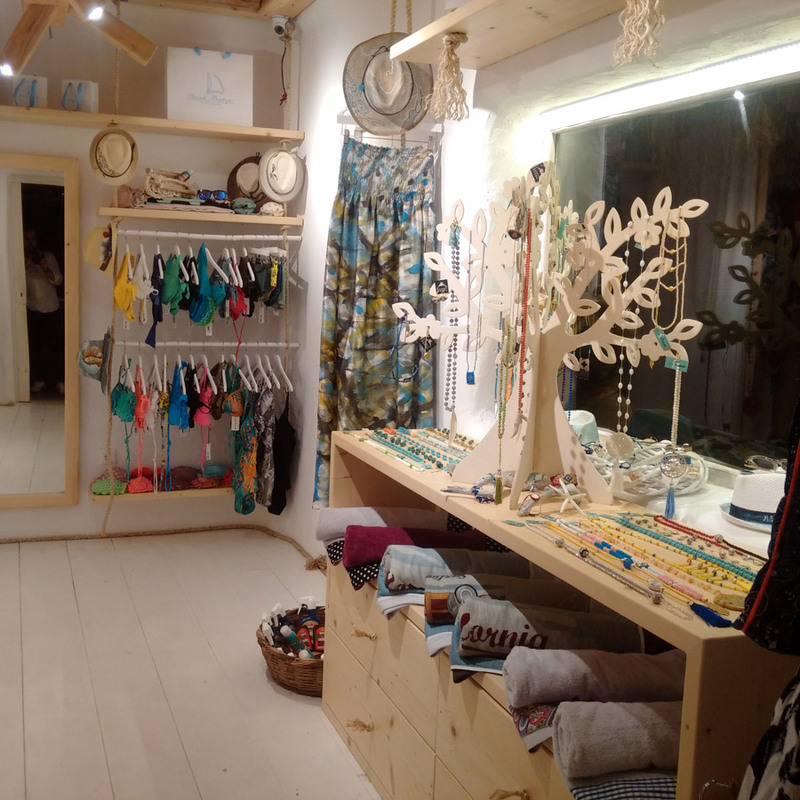 Given this and our love for fashion brands gave birth to Seaside Boutique Aperanto Galazio, a spartan space next to the sea beach shopping level. 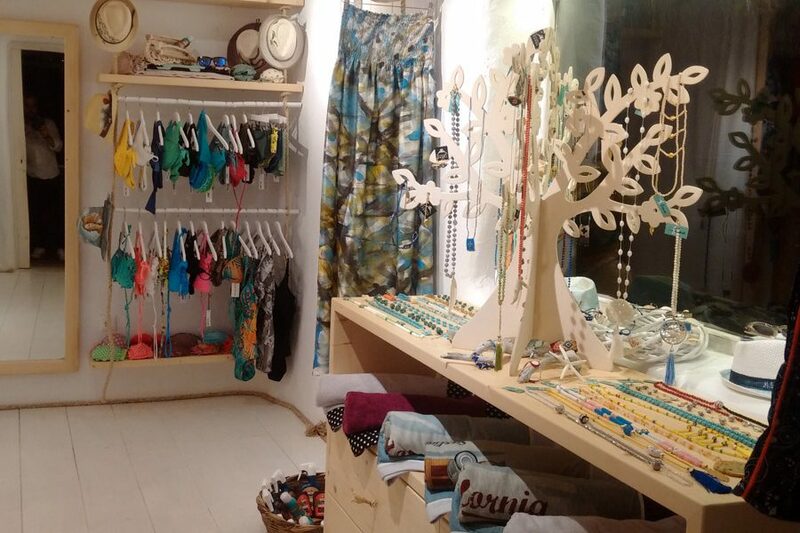 The summery our store honors the total beach look, suggesting Beachwear, caftans, clothing, beach bags and beach accessories for fashionistas everywhere who want stylish appearances even on the beach. In the spirit of summer vacation and casual chic style moving and proposals in watches and jewelry. 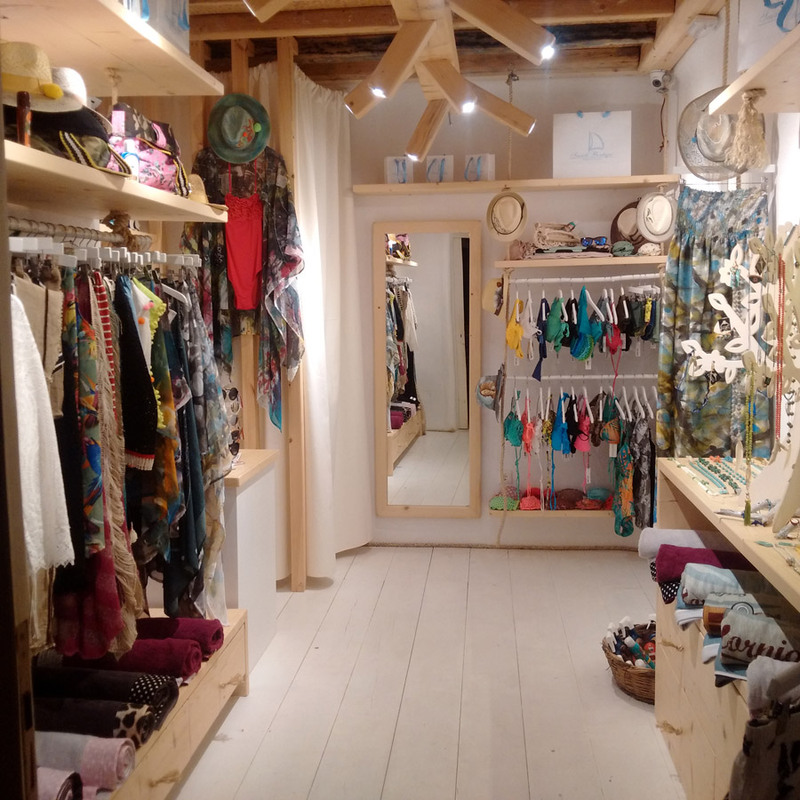 Although the wide variety puzzled you, the friendly and experienced staff will be happy to help you choose exactly what suits you! 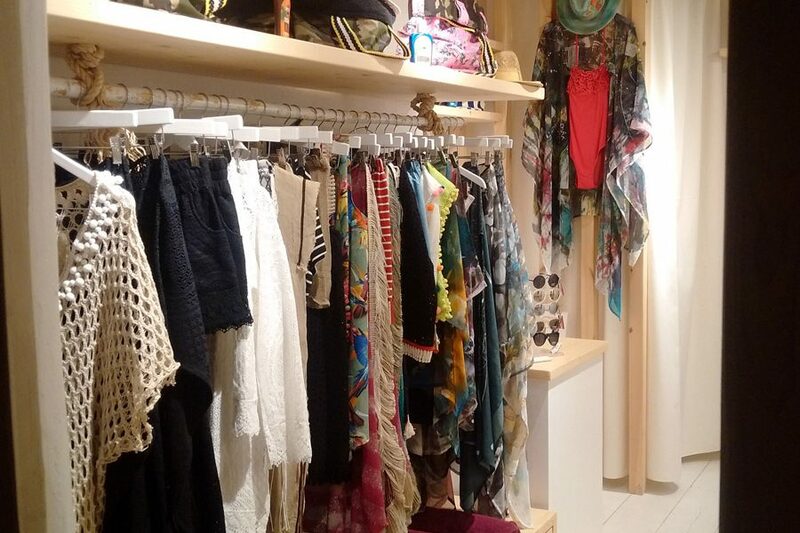 Open from 11:00 until late. 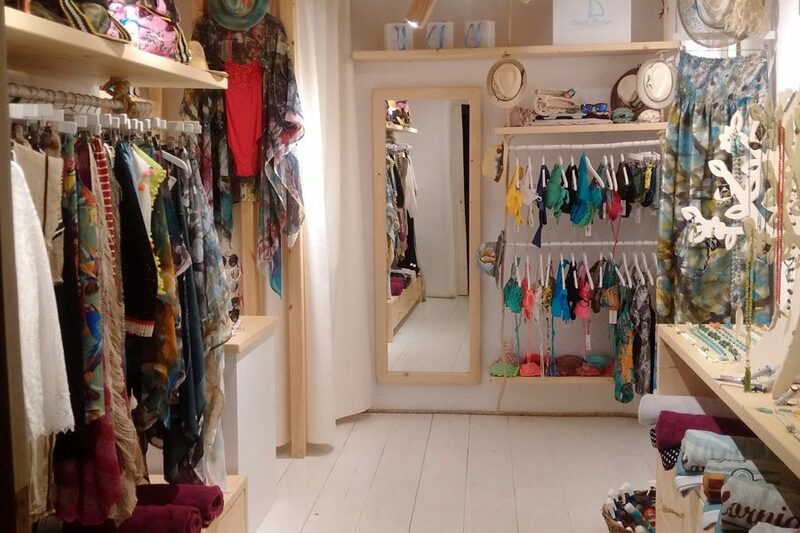 Contact number for the boutique +30 22890 27991.